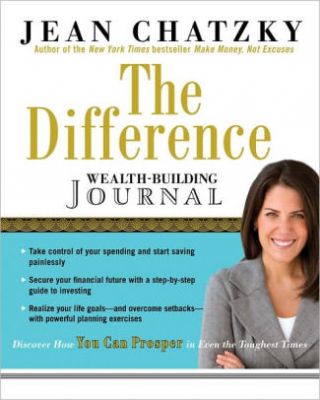 Difference Wealth Building Journal Discover How You Can Prosper In Even The Toughest Times - ubiq bookshop: the best place to buy books! During tough times, what's the difference between those who survive . . . and those who thrive? Through her groundbreaking research of the wealthy, trusted financial coach Jean Chatzky has identified the traits and habits of those who have moved from the lowest economic strata to the highest. The good news: These attributes, beliefs, and behaviors are all things you can learn. As you'll see, the "difference" is within you: You have the power to determine your financial future and make strides toward the next level of wealth.